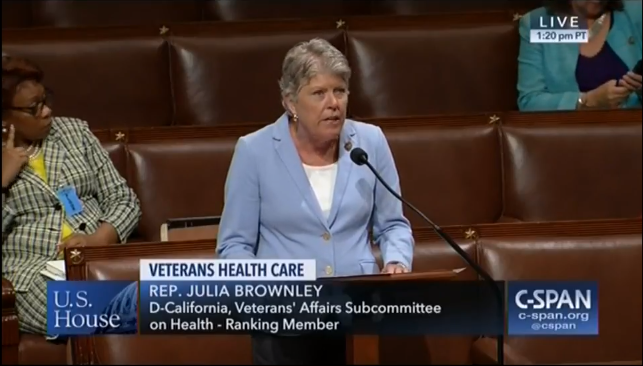 “I am pleased the House passed this bipartisan legislation, which takes a major step forward in expanding access to high-quality care for our nation’s veterans. Consolidating the community care programs will make it easier for veterans to access the care they need, and expanding resources for veteran caregivers will improve quality of life for our veterans who need it most. It is imperative that this legislation move quickly, as Acting VA Secretary Wilkie has stated that the Choice program will run out of funding by the end of this month – meaning some veterans could lose care in just a few short weeks if we don’t act. Watch Brownley discuss the bill on the House floor here.